Our goal was to assess the impacts of zebra mussels on the components of the microbial loop (dissolved organic carbon, bacteria, nanoflagellates and ciliates) and their relationships with classic food web components (algae, rotifers, crustaceans) in mesocosm experiment. Zebra mussels were added to mesocosms that were filled with water from a mesotrophic lake (Mazurian Lake District, Poland). Zebra mussels increased concentrations of chlorophyll and caused short-term negative effects on the biotic components of the microbial loop just after the onset of the experiment. 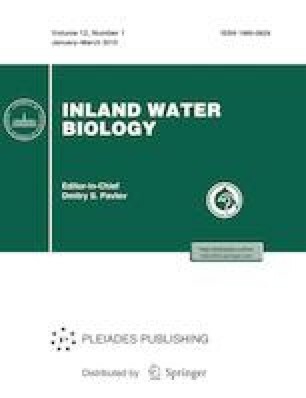 Grazing pressure by zebra mussels caused shifts in the taxonomic and trophic structure of ciliates from small species feeding on algae and bacteria to small bacterivorous species. As a result of zebra mussel introduction, the trophic interactions between the components of microbial loop and classic food chain were altered relative to control. We thank Andy Dzialowski for his assistance during preparation of our manuscript and Piotr Stomski for his technical support in our experiment. This research was supported by the Polish National Science Centre (UMO-2016/21/B/NZ8/00434). Statistical analyses and their interpretations were supported by Russian Science Foundation (project no. 16-14-10323).